75043: AT-AP (remake of 2008 set 7671: AT-AP Walker). 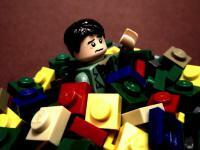 How Can You Avoid Falling into a Bad Investment When Looking at Remakes? Now obviously because all the models are various "ages" there are going to be differences in the prices (one interesting thing to note is that all the X-wing models are at a retail Price per Piece Ratio of $0.11) and while Brickset ratings are a good gauge for measuring future potential a high rating amongst remakes doesn't necessarily mean that that specific version will have the best return. Another factor to consider is how much of an improvement the model is over the previous version, but while this is still important it doesn't end up having much influence as the minifigures. Indeed even if the new model/playset itself is a significant improvement over past versions a better determinant of the potential for a remake is whether or not there are any updated and/or exclusive figures that are included with that version. For example: while the 2005 TIE Fighter (7263) didn't do much to improve on the original model (7146) the inclusion of the exclusive light-up Darth Vader has greatly boosted the appreciation setting 7263: TIE Fighter up to have the best current market value ($64.13) amongst the two other TIE Fighter model. Another example is of how the 2012 Y-wing, which has an exclusive celebration Leia and yellow R5 series, is already almost doing better than the 2007 model, which only included a smiley faced rebel pilot and a old variant of a red astromech droid. So How Can You Know if a Remake Will Do Well? Essentially the important thing to take away here is that even if a remake improves greatly upon the original it's also very important to have better or more exclusive figures than the previous version, however and this is, as always, very important to note, the price should as always be considered. A cautionary example is that of the most recent model of Darth Maul's Sith Infiltrator which was a massive improvement over the previous versions and boasted new variantss of Padme, Qui-Gon and Darth Maul (all of which were also vast improvements over their previous versions) plus the brand new minifigure Panaka. This set surely would have been a fantastic investment had it not been at the high price tag of CAD: $ 89.99 (USA: $ 69.99/GBR: £ 59.99) which hindered the return prospects. So as an easy way to remember the important factors when looking at investing in a remake, I came up with the acronym P.I.E. which stands for Price (you should always be price conscious but you should also compare the remake price to that of the original). Improvement (upon the older model). Exclusive (an exclusive set is usually good but this is more about the figures and while a new variant of old an figure is good, an exclusive or brand new figure is nearly always better). How do the New Remakes do When Analyzed with P.I.E? 75044: Droid Tri-Fighter is based on a ship that was seen only briefly at the beginning of Episode III. Price: CA $39.99 which gives it a good PPB ratio of $0.11. The previous version had a PPB of $0.09. Improvement: Only slightly improves on a model that was well constructed and accurate but not very popular. Exclusive: The minifigures are all new variants of existing figures. While the battle is very common, the buzz droid is dull and the red security droid is semi-rare, Chancellor Palpatine is quite a rare minifigure having been released in only two sets both of which were over CA $120 with one being a Toys R Us exclusive. Palpatine is a particularly good addition to this set since he was one of the most important and prominent figures in the entire Star Wars saga. P.I.E. Analysis: 75044 will be a good investment post-EOL. 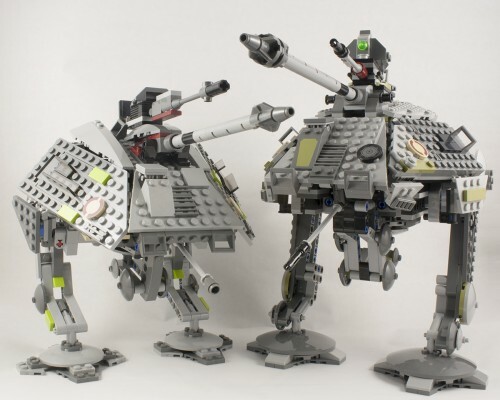 Despite the fact that the Tri-fighter isn't notably popular 75044 will have a good return due to the inclusion of the rare Chancellor Palpatine. 75042: Droid Gunship is also based on a ship that was only seen briefly in Episode III. Price: CA $59.99 which gives this a good PPB ratio of $0.11. The previous version had a PPB of $0.09. Improvement: This is quite a bit bigger, beefier and more imposing than the old model (which itself was pretty good) and it has the new spring shooter. Exclusive: The battle droid and super battle droid are both quite common and the new green clone trooper is feature in one of the new battle packs but this is the first time that Chewbacca has ever been redesigned which is kind of ridiculous since he's one of the main characters from the original trilogy. P.I.E. Analysis:75042 will be a solid if not very good investment The inclusion of the currently exclusive redesign of Chewbacca should be especially helpful to this set. 75043: AT-AP is based on a vehicle that was seen quite a bit in Episode III. Price: CA $74.99 gives this a a very good PPB of $0.08. The previous version had a PPB of $0.10. Improvement: This version of the AT-AP is a bit bulkier and stands much higher than the previous version and features the new spring shooter. Exclusive: This set features two battle droids and a super battle droid along with a new and much improved Clone Commander Gree and the brand new figure of Tarfful the wookiee. P.I.E. Analysis: 75043 will make a very good investment. FYI, there were 2 previous V-wings, not just one. Hey good article. I like the fact that you try to find out what could trigger appreciation based on previous experience. Good job. I'm not sure I agree with your conclusions though. Flash from the past: X-Wing from 2006 didn't appreciate much, don't see why the 2012 would do any better? Y-Wing from 2007 was a little better maybe with the extra minifig the 2012 can do more? TIE-Fighter of 2012 looks different without the strange "Blue" and seems attractive to me based 2005 CAGR. I like that one the most. On the 2014 released sets: 75038 looks just the same for almost the same minifigs. The 2005 set hasn't appreciated much at all and stilll retails after more than 9 years of release at 40 euro on BL... :/// 75039: V-Wing Starfighter as replacement for the 6205 which trades on BL @ 20E still... looks a little bigger, but still a very 'clunky' ship if you ask me. General Grievous' Wheel Bike replaces the 7255 General Grievous Chase: even without the animal (11E cost), the old set would cost you 90E! Compare it to the newly released Bike, I'm not sure that's a bad comparison. And you get 248 parts on this set, a nice built compared to the previous one. It looks like a nicely reshaped "PIE" :) Pity it's not popular. But if nobody invests, this could be a sleeper. 75041: Vulture Droid: agreed - a waste. 75044: Droid Tri-Fighter: not very difficult to beat the previous 2005 set which performed afwully on CAGR. But then the much improved version in 2010 also underperformed. It just looks like a tough ship to sell. Will the minifigure make up for it all? No so sure. 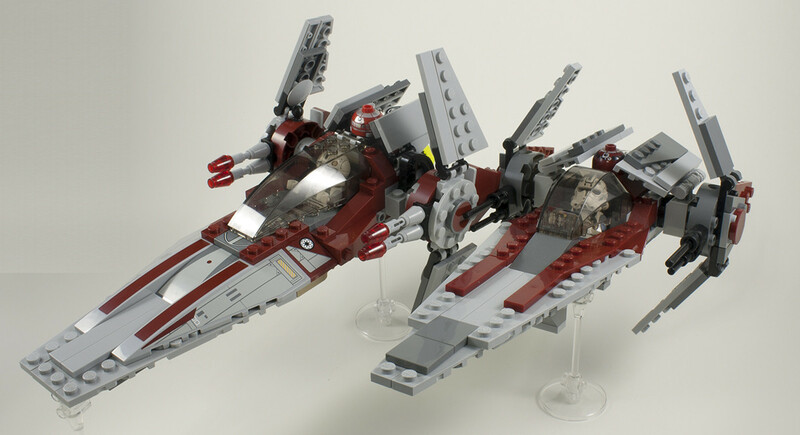 75042: Droid Gunship: similar ship, but for 50E you get a nice "Chewbakka" in the mix. I agree with your analysis - great stuff. 75043: AT-AP Agreed - stash some. As said, even though on first sight I don't agree with all your statements, the article made me review these sets again with a different and even more critical eye. Personally I would look at sets 75043, 75042 and 75040. These three score best on "my PIE" Thanks again! I'm glad I could help. I was going to address some of those issues with my conclusions but the post was getting kind of heavy and I didn't want to bore any readers. But now that you mention it I'll explain some of my reasoning. The 2006 X-wing was one of the few sets to follow up another, and IMO better, version that came out only two years before 4502 which also came with Yoda's hut. So that's probably why it didn't do very well. 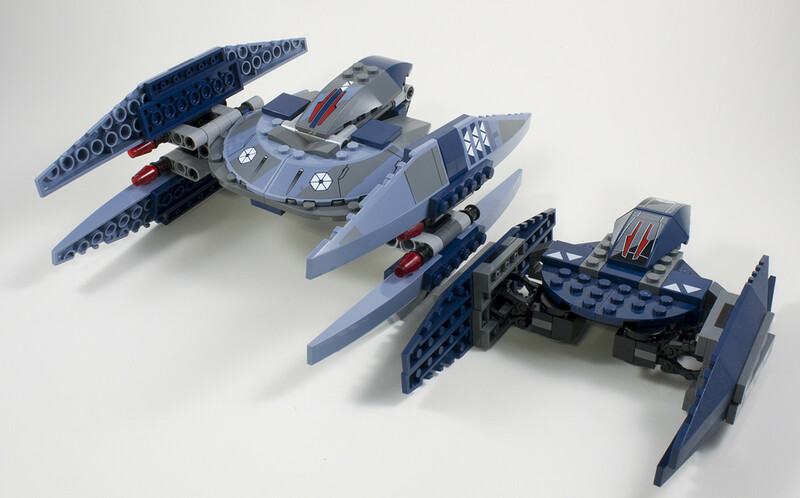 75038: I might have been a bit biased in my analysis of this set since I have a soft spot for jedi starfighters/intercectors but even objectively most of the jedi spacecraft seem to do pretty well, and I think that the much improved design over the 2005 version will also help. 75039 I think the V-wings minifigures will help it out quite a bit whereas the single really bad/inaccurate minifig from the 2006 version probably didn't do any favours for that set. 75040 The new Wheel bike was the hardest set to evaluate because of how half of the set was missing but the other half is greatly improved. Thinking about it now part of me agrees that this may be a sleeper. 75044 Neither of the previous Tri-fighters have had very good figures despite (like you said) the 2010 version being such an improvement, so I think that the inclusion of Palpatine will really help this version along in the future. Great follow up - thanks! Great article, According to my inside source, leaked me Offical Lego limited release dates and retail pricing for 2015. on that list is set number 75095 UCS Tie Fighter limited release in September retailing for $400. New Zealand dollars.